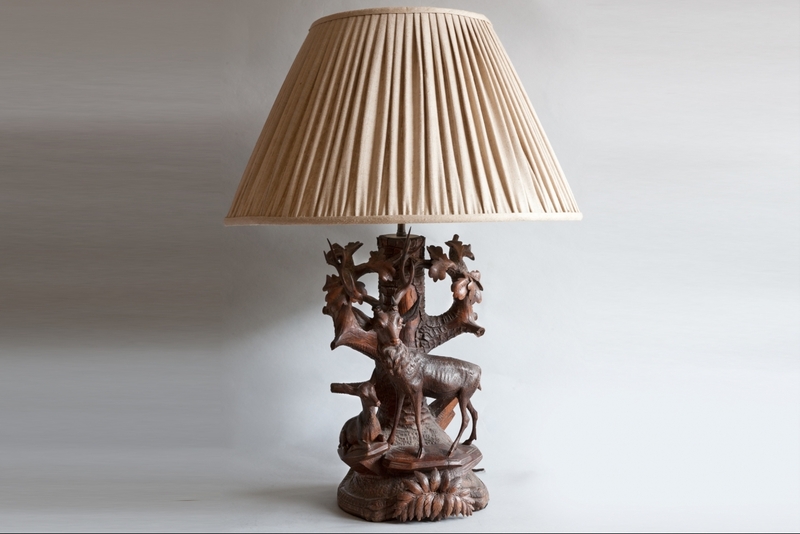 Late 19th century Black Forest table lamp. With a doe and faun standing on ledges in front of a oak tree trunk with oak leaves, standing on a circular base with an ash leaf on the front. 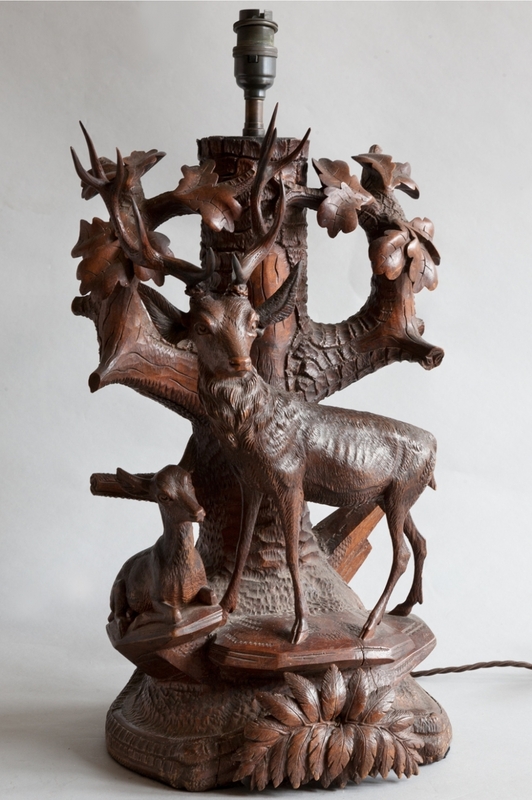 The whole is extensively and well carved in the Swiss Brienz style. Switzerland circa 1870. HEIGHT TO BULB HOLDER: 48 cm (19”)WIDTH: 26 cm (10¼”) DEPTH: 25 cm (9½”) You can see further photographs on our website. H. 48 W. 26 D. 25 cm. H. 19 W. 10 D. 10 in.